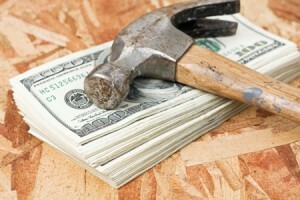 Loans for Home Renovation: Do or Don’t? Many homeowners that need to complete a home renovation debate taking out a loan or using their savings to cover renovation expenses. Two popular options for those not wanting to tap into their savings are a home equity loan or a home equity line of credit (HELOC). What’s the difference? A home equity loan is similar to a mortgage in that you are given a specific amount that you must repay over time in fixed monthly payments. A HELOC is a line of credit that you can use when needed as long as you don’t exceed the credit limit. There are monthly payments with a HELOC, but you may be able to make interest-only payments for a period of time. A home equity loan or HELOC can be a good route for some people, but first you should ask yourself the following five questions that the finance experts at Equifax discuss in the recent article, “Paying for Home Renovations: Tapping Home Equity vs. Using Savings,” to find out if you are in a situation where taking out a home equity loan or a HELOC would be a smart financial move for you. If you already have a great deal of debt, especially debt that has a high interest rate, you should evaluate whether you can take on any additional debt at this time. If you have less than 20 percent equity in your home, it might not be a great idea to borrow against it for three reasons. 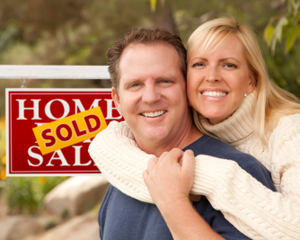 First, if you are paying private mortgage insurance, it is good to eliminate that payment first. Second, many lenders want you to have some stake in your home and will not let you borrow if you have less than 20 percent equity in your home. Third, you could potentially lose a significant amount of money if you put yourself in a financially unstable situation and your home value drops. How much are you thinking about borrowing? Getting a home equity loan is similar to getting a mortgage and involves similar start-up costs such as an appraisal, an application fee and closing costs. Be prepared to pay these costs and also be aware that home equity loans can carry adjustable rates and your monthly payments could go up over time. If you don’t have enough in savings and do have a significant amount of equity in your home, a loan or HELOC would be a good option for you, especially since interest rates are so low right now. If you have a lot of cash in savings, it is probably not worth borrowing money that you will have to pay back with interest, unless the home renovation would eat up all of your savings and leave you with no emergency funds. Keep in mind, if you are doing a home renovation with the intent of selling before you have a chance to pay off the loan, you should consider having another means of paying off the loan. This is because when you choose to tap into your home equity, you are using your home as collateral, and if you sell your home, that collateral disappears. In the end, whether you decide to use savings or borrow money with an equity loan or HELOC for your home renovation, keep your return on investment in mind and make sure the investment is worthwhile. For more tips, visit the Equifax Personal Finance blog. This entry was posted in Home Maintenance, Home Selling Tips and tagged equifax finance blog, equifax personal finance blog, home equity loan, home renovation on July 31, 2015 by Courtney. First, you want to carefully look over your credit report for all activity. If you spot something off, you need to dispute it with the credit reporting agency right away. The dispute is free of charge, and depending on the agency, you may have to call or send in the dispute by mail. Equifax offers free and easy online disputes. If you send in a dispute and it is resolved, the one credit reporting agency will notify the other two agencies of the corrected information. If you want to have the most up to date information though, in the case of needing to have a spotless report for an application for a mortgage in Atlanta or the like, you should contact each agency independently and immediately. After you report your dispute, the credit agencies are legally required to investigate within 30 to 45 days, and before the time has elapsed, the credit agency will inform you of their findings. From there, the disputed item will either be removed or the reporting agency will explain that the findings of their investigation lead them to keep it on. Even if the disputed item wasn’t removed, you should keep a close eye on your credit report going forward and dispute as necessary. 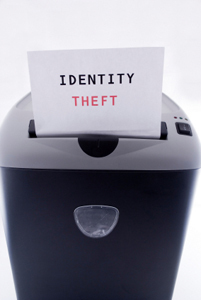 If you are concerned about activity on your credit file (due to identity theft or potential identity theft), you may want to sign up for a credit monitoring service like the Equifax Complete plan. personal finance advice, check the Equifax Finance Blog. This entry was posted in Featured, Homebuyer Incentives, Technology and tagged credit report, equifax finance blog on November 29, 2013 by Carol Morgan.